It is what it is, people. If the mere sight of his name, his rap sheet or the audacity of his persona make you grit your teeth, DAY69 won’t have you pledging allegiance to Scumgang anytime soon. The whole project has the whiff of a third-tier Nü Metal act, like Crazy Town or Alien Ant Farm, but without any pop candy for teenaged girls. Instead, we get toxic bellowing from a stunted kid whose hustle has peaked. 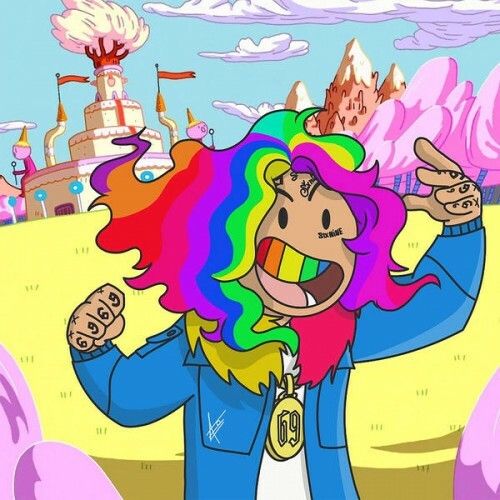 6ix9ine brings a ton of aggression and energy to his debut mixtape, but lacks the versatility, charisma, and ear for interesting production to carry an entire project... even one that's just 27 minutes. Obviously this isn't a good rap album from a traditional standpoint, but I enjoy this in the same way I do the Lil Pump tape due to its energy and solid production. 6ix9ine has absolutely no shelf life and is 100% another flavor-of-the-month rapper, but he definitely capitalized on his fame and put out a decent collection of tracks. 6ix9ine is a nonce and should not have a music career. Do you think he's even seen the Harmony Korine film Gummo? He'd probably have a brain aneurism trying to comprehend it. Purchasing Day69 from Amazon helps support Album of the Year. Or consider a donation?